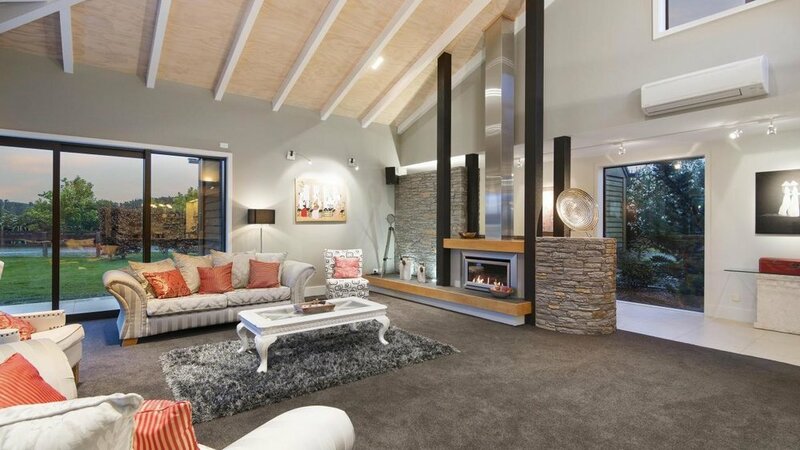 Epitomising elegant lifestyle living and completed to exacting standards, this luxurious equestrian estate occupies a substantial 6.1504ha and enjoys an overwhelming sense of privacy from its spectacular rural position in West Melton. 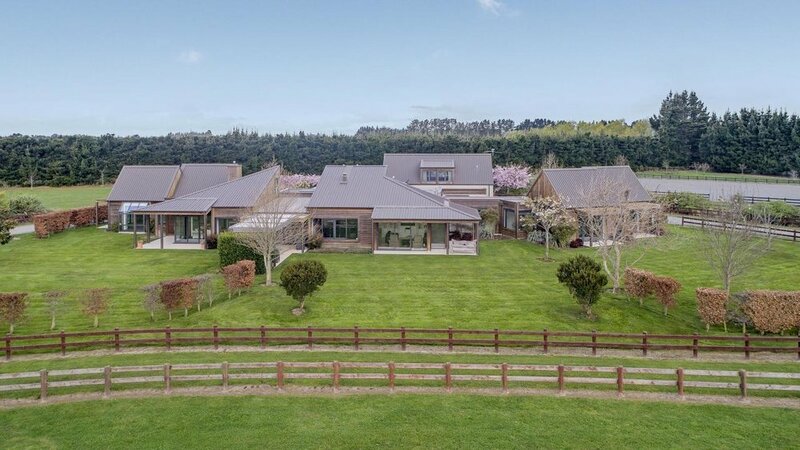 Accessed by an electric gate and an idyllic blossom laden driveway, this property is eye-pleasing from every angle with the attractive yet understated exterior featuring a tasteful blend of Schist and cedar. A focus on style, design and detail is evident throughout and includes soaring cathedral ceilings, Oak flooring, exceptional appliances and magnificent finishes to offer a contemporary country feel. The 485m² abode offers four bedrooms and five bathrooms and an abundance of space. Lounges are located at either end of the central kitchen and dining area and an exquisite outdoor entertaining area cleverly extends from the dining space - which is not only sheltered by a louvre tech system but also includes an outdoor fire. Every inch of the home has been thoughtfully considered with highlights including Control 4 home automation, a Nuvo sound system and feature LED lighting to name but a few. An extensive array of heat pumps is complemented by a gas fire and underfloor heating on the ground floor of the entire home. Four ensuited bedrooms reiterate the undeniable luxury of the home, with the master enjoying the benefit of a sizeable walk-in wardrobe. 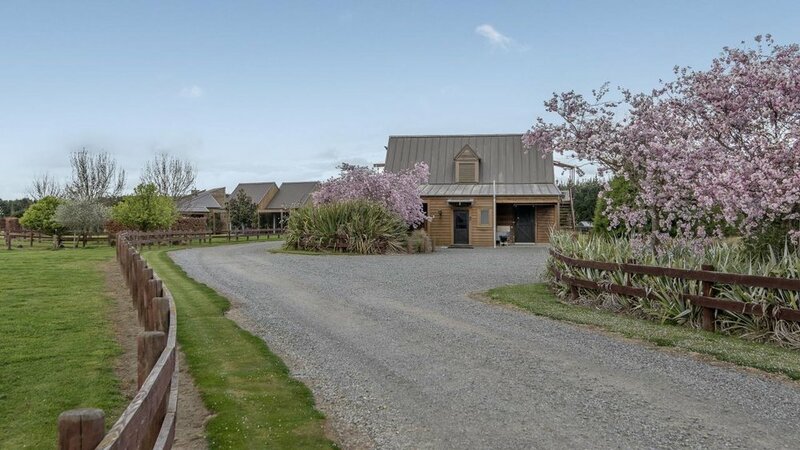 Superb equine and facilities and ten fenced paddocks are found outside and include an all-weather dressage arena and American style stables with three loose boxes, wash down areas plus a kitchenette and a bathroom. Upstairs, and you'll discover a large media room which presents a welcome retreat. Viewing is essential to appreciate all that is on offer.